I’ve heard a lot of complaining about leadership qualities with regard to what is almost universally acknowledged as a disappointing selection of U.S. presidential candidates this cycle. Admittedly, I’ve contributed more than my share of complaints about leaders. Today, however, I saw a local leader in my community participate in a conversation that really motivated me to think about why and how we may get the candidates we deserve. I’ve studied leaders and leadership for thirty years. I’ve had a variety of leadership roles in corporate, church, civic, and professional organizations. Some of these roles were job functions, some were appointed, and some were elected. My most recent personal experience comes from the association world. Over the last decade I served as a committee member, board member, officer, and ultimately as international president of an association with roughly 10,000 members in 88 countries. Leading any organization, even one that small, comes with a healthy dose of complex issues from the financial to the legal to the interpersonal. Many such boards and associations are rightly concerned with their future leadership and whether they have leaders “in the pipeline” to take the reins effectively. Leaving the association microcosm aside, the issue of “missing leaders” is even more concerning on a personal level. As individual citizens, we often complain that we are forced to choose between the lesser of evils. We lament the rarity of unifying figures. We wonder why our ballot only seems to list people among whom we must weigh flaws more than strengths. I think the issue of quality leadership takes on a completely new light when you ask yourself a difficult and potentially convicting question: Do my actions encourage the kinds of people I want as leaders to pursue leadership roles? Most of us do not actively encourage people to become leaders. Most of us are simply content to complain that the kinds of leaders we’d like to see not on our ballot. As citizens, we are not guaranteed that we will always get to choose the most successful, most principled, most ethical, most capable, or otherwise superlative candidates from within our population. We only get to choose between those who submit themselves for consideration. This self-selection comes with some risk; among our choices will be those whose motivations are not always altruistic. Some may be motivated by power, fame, ego, or a desire to prove something to someone. Some will be better at hiding it than others. If we want leaders who meet our approval – morally, ethically, politically, or otherwise – we have to actively cultivate their interest in leadership. It is going to be difficult to convince the most ethical person you know to participate in a field well-known for its ethical challenges. Why would that person want to put himself or herself (and his/her family) into the crucible of leadership? 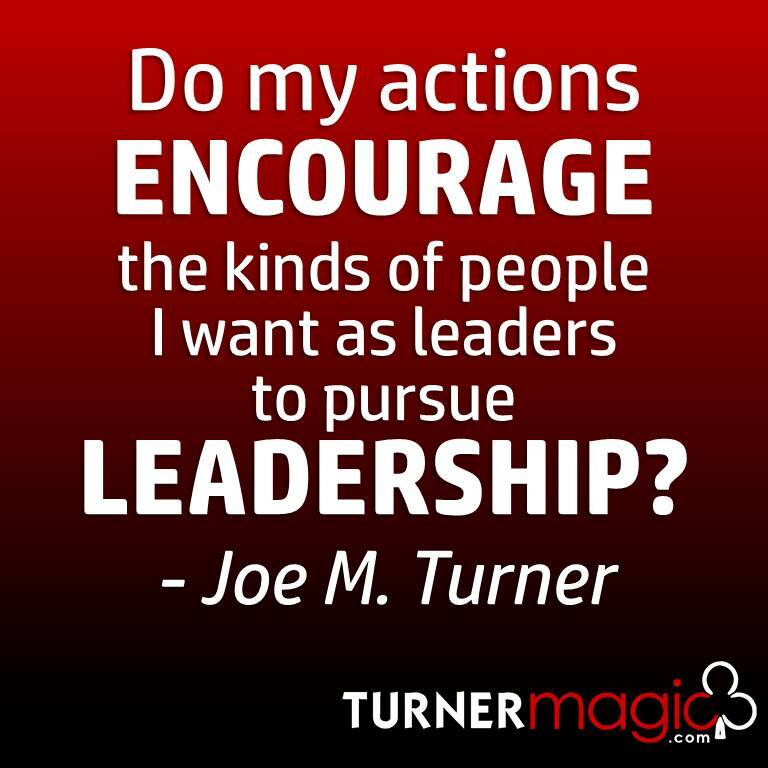 Some people will do it because they are driven by vision and principle to lead and attempt to help their organization, community, or nation. Some will do it because they are driven by desire for power or recognition. Most will do it with a combination of motivations. One thing we can do to help adjust the mix for the better is to actively encourage the leaders we would like to see to participate. 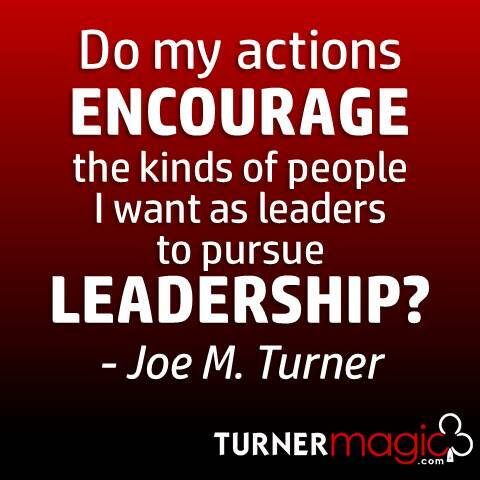 When you identify the kind of person you admire and envision as a leader, let them know. Encourage them. Be vocal and consistent in your support. Be supportive of his or her family. Be a voice of compassion, appreciation, and influence. Acknowledge excellent leaders when you see them. This article was partially inspired by my local school board member, Kim Cobb. I consistently see her interacting with parents and citizens online, answering questions about local policy and encouraging people to participate in their local government. She is a great example of an engaged, in-touch, responsive public official. Thanks, Ms. Cobb! Thank you Joe. I am crying as I read this because so much of it is true. You are correct that it is hard to encourage others to be willing to serve when they recognize there is nothing to gain and everything to lose. Our local positions should be viewed as public servants and not politicians. These positions do not come with lofty titles or salaries but much responsibility. It is difficult to research facts and cast votes that are not always popular. Sometimes if all the facts were known and understood, opinions might be different. That being said. I promise to continue to be available, open-minded, honest, transparent and do my best to represent our citizens whether I personally agree or not. Thank you for your input and investment in our community as well. It takes all of us working together to make a difference. I am blessed and proud to serve the people of Paulding County.